We care for some of the oldest and most important trees in and around Oxfordshire, in college grounds, public parks and private estates. Our reputation is built on the quality and professionalism of our work. Providing expert service, to the highest professional standards, since 1990. At Ringrose Tree Services, we understand the importance of finding the best experts to look after the trees in your care. We work to the highest professional standards, keeping you informed every step of the way, while giving your trees the best possible care to ensure they stay healthy and beautiful long into the future. by phone or email, and we discuss your requirements and budget. and we turn up when we say we will! with the local authority before our surveyor visits you, which we undertake free of charge. is conducted on the day of your survey. we aim to get your survey back to you within 48 hours of visiting the site. to carry out the most urgent work identified. to continue the necessary work throughout the year. and do the work when we say we will, clearing up after ourselves. 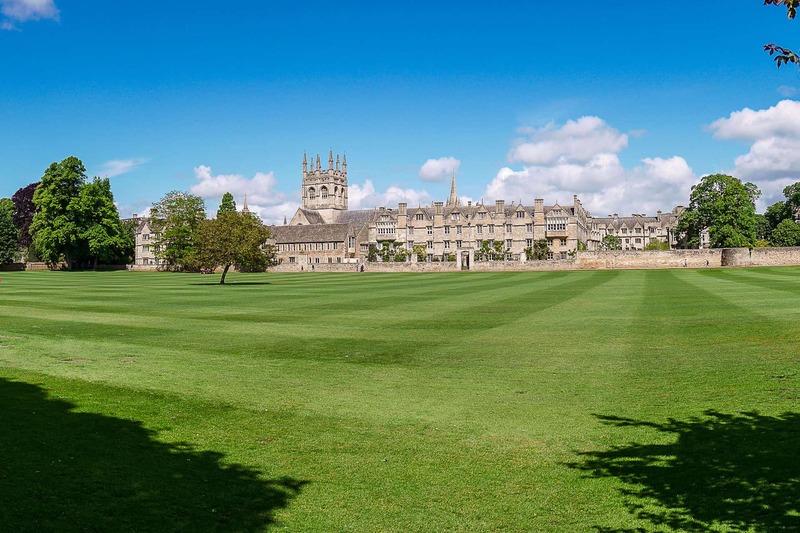 We look after the historic and valued trees of many of Oxfordshire’s colleges, parks and private estates, but don’t take our word for the quality of our work, see what our customers say.